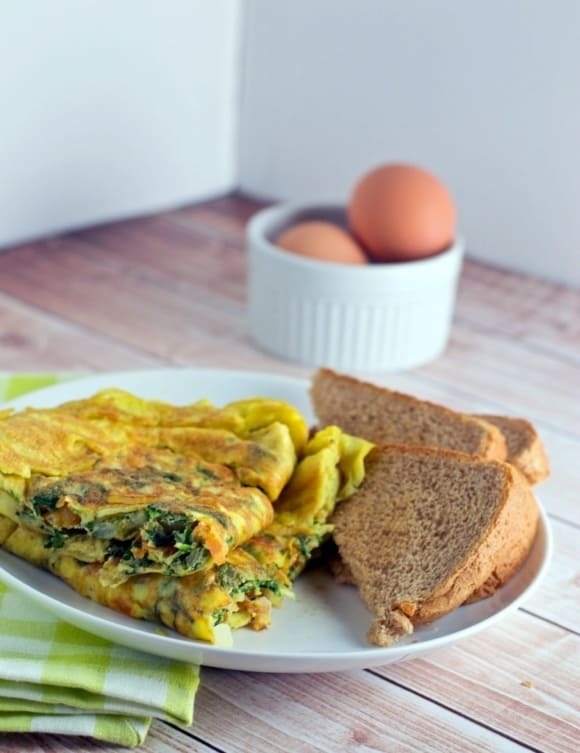 I love Omelettes and we typically make them two to three times a week because it makes for a fine breakfast, lunch or on some lazy days even dinner. Indian Omelette is made by mixing veggies such as onions, tomatoes, spinach etc with beaten egg before cooking them whereas in a French Omelette, the eggs are cooked first and fillings such as veggies are added later. 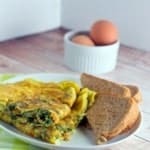 Making an Omelette may seem like the easiest dish to make but there are a few simple steps that you need to take to get that perfectly moist Omelette without breaking them apart when you flip them. There was a time when I could not flip an Omelette without messing it up and that is why I am going to break down this process into simple steps for you so that you can enjoy a perfect Indian Omelette every time. The key thing to remember is to always cook on medium-low heat and wait until the eggs are set before flipping them. 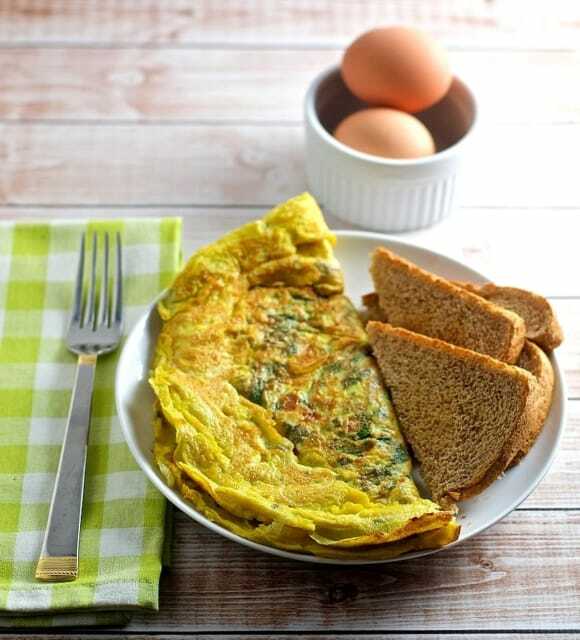 If you don’t feel confident about making an Indian Omelette yet, you could always start with Scrambled eggs or Burji and graduate to making an Omelette over time. Break the eggs into a bowl and whisk them to a froth. Add the tomatoes, onions, salt, green chilies, spinach, and coriander leaves and mix them well. Heat a pan on medium sized flame and after a minute or so add oil. Tilt the pan so that the bottom and the sides are well coated with oil. Once the eggs on the bottom are set, take a spatula and turn the omelette over so that the side that was on top can cook. This should take probably a minute or so. Turn of the gas and your omelette is ready to be served.